Credit: Aerospace Industries Association of Canada (AIAC). The Aerospace Industries Association of Canada (AIAC) today is announced that it is looking for members for a new Labour Market Committee it is forming. The new committee is intended to be operational by February. The chair of the committee will be Stewart Cramer, CEO of Vertex Precision Manufacturing. 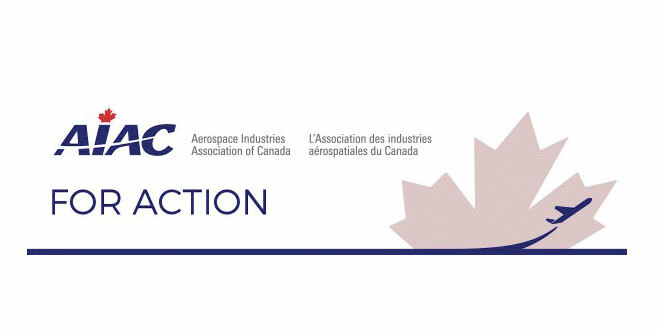 Those within the aerospace community that are member of the AIAC and are interested in participating in the committee can contact Iain Christie, Executive Vice President at (613) 760-4562 or by email at ichristie@aiac.ca. Editor’s note (10:00 a.m. Jan. 12, 2017): The AIAC contacted SpaceQ to provide a clarification that those interested in being committee members must be a AIAC members.